The concept of sustainable, eco-friendly and green buildings has been around for the past 20 years, helped along by organizations such as the US Green Building Council that have dutifully guided developers, architects and corporations with their star certification system and LEED recognition. Borne of the massive recent upswing in urbanization and the resulting high-density cities that then put added strain on our planet, the green building movement pushes an earth-friendly agenda onto our built environment. With over 92,000 projects using LEED in over 165 countries around the world and more than 2.2million sq ft of built environment certified every single day, this is by far the most prominent rating system out there today. LEED's key tenets include energy, water, waste, location & transportation, sustainability of a site's location and indoor environmental quality. Moving beyond this green, eco-friendly philosophy though, more recently we have seen two concurrent trends that take the sustainability movement in a new direction. Firstly there is biophilic, nature-inspired design that adopts a similarly planet-oriented mindset yet zeroes in on how organic and evolution-friendly design principles can have a positive psychological and physiological health impact on humans. This planet + people mindset instantly gives biophilic design a more commercial edge, cutting through the externally oriented benefits of doing no harm to the planet with a more human-centric view of the built environment while also opening the door to overtly aesthetic choices that prioritize natural beauty. Think vertical garden walls; air purifying plants; circadian lighting that follows the body’s daily rhythm; natural colors, patterns, textures and materials, all of which are designed to bring the outside world in, re-uniting city and countryside to create uplifting, restorative green spaces as closely aligned with our deep past as feasibly possible. The International Living Future Institute’s Living Building Challenge is a holistic standard that has so far logged over 330 projects and 14.1 million square feet of built environment since 2008. Key concepts that it addresses include Place: restoring a healthy interrelationship with nature; Water: creating developments that operate within the water balance of a given place and climate; Energy: relying solely on current solar income; Health + Happiness: creating environments that optimize physical and psychological health and wellbeing; Materials: endorsing products that are safe for all species through time; Equity: supporting a just, equitable world and Beauty: celebrating design that uplifts the human spirit. A third and final segment, after eco/green/sustainable and bio/natural/organic comprises explicitly human or people-oriented buildings with designed for human health, wellness and fitness, whilst also doing no harm to the planet. Key proponents of this approach are the WELL Building Standard and the US government-backed Centre For Active Design FITWEL standard. An evolution of green building standards such as LEED, the increasingly popular WELL Building Standard from Delos identifies 100 performance metrics, design strategies and policies that can be implemented across a building to have a positive impact on the health and wellness of its occupants. WELL is complimentary to other, more environmentally-oriented standards and in many instances directly overlaps as a nature-first approach is also inherently healthy for humans; the emphasis however is simply skewed towards the occupants rather than the environment. The standard is happy to roam far and wide, from homes to offices, healthcare facilities, schools and restaurants. 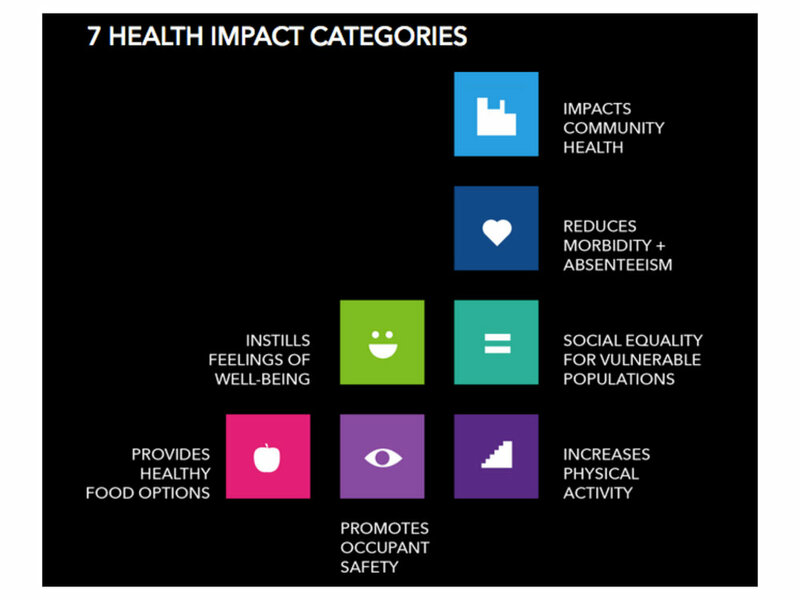 FITWEL, standing for Facility Innovations Toward Wellness Environment Leadership, was launched in March 2017 and has currently impacted over 250,000 building occupants with over 380 projects around the world. They too take a heavily data-focused approach with a database of over 3000 academic studies backing up their efforts to inspire healthier workplaces and residential communities specifically.